Spring is inching closer and closer, but for me it’s nearly over! This week has been hot. People were swimming, for Pete’s sake. 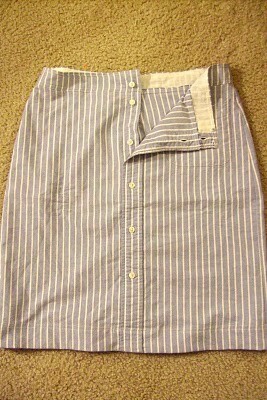 But as you are pulling out your spring clothes and maybe thinking they could use an overhaul (or maybe a complete haul-out-to-the-trash-or-Goodwill) you could peruse your fabric stash and make some fun new spring items! This is a simple one and great to do if your winters tend to last far too long and you have cold springs. 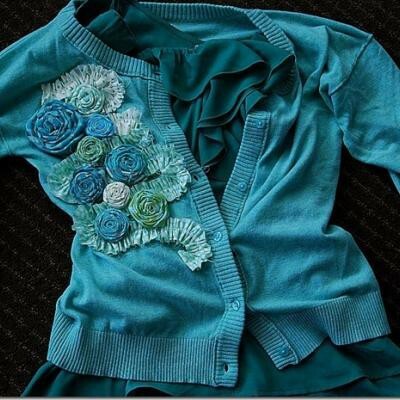 Add some springy flowers to a cardigan! There are tons of tutorials like this but here’s a cute one from Tatertots and Jello. 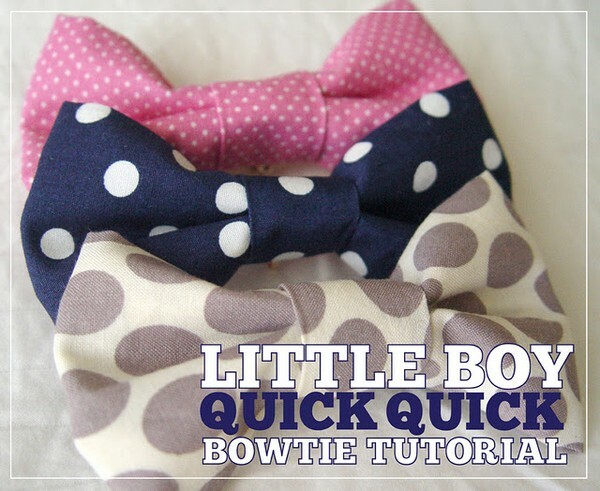 I am totally going to make some of these adorable bow ties for my little boys for this Easter! 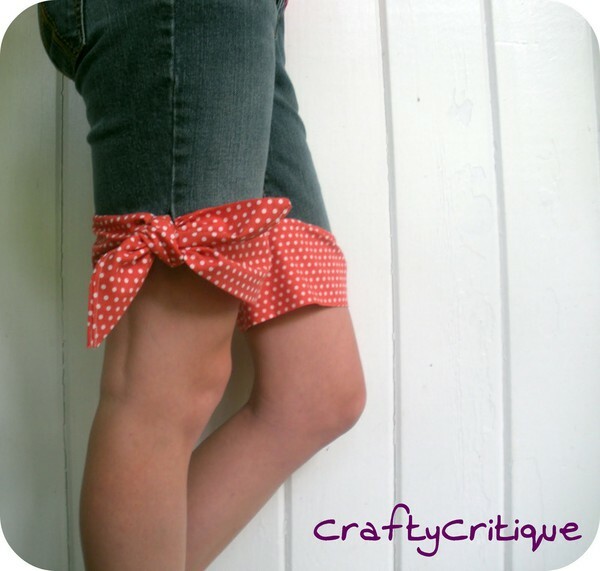 Easy tutorial at Kiki Creates. 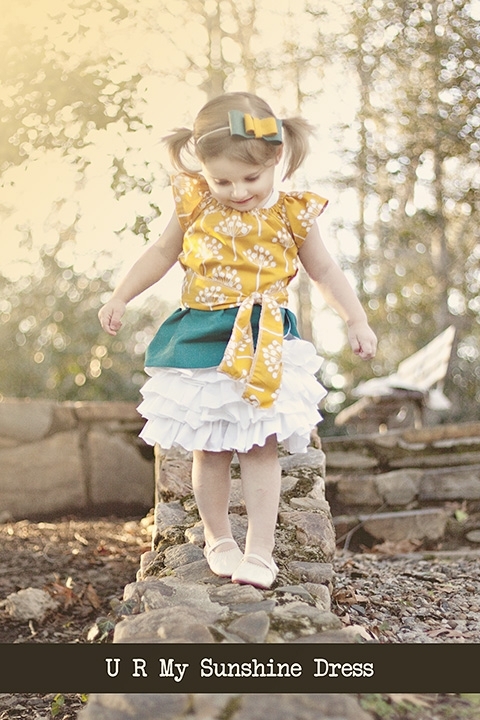 And my favorite for last…I can’t wait to make this for my Ellie. 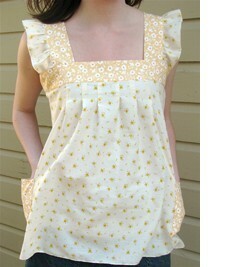 See how to make this adorable outfit at Sewing In No Man’s Land (and if you haven’t checked out that blog, DO it now. Adorable stuff. Oh wow! Super cute! Thanks for the links 🙂 I may have to make those cute shorts, or that summer top. I hope things are going well with baby girl. Are your boys feeling better? 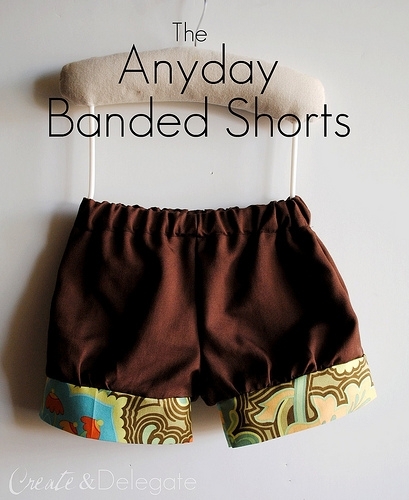 I wish I had a little girl because these are adorable. Thanks for posting. If I can get my act together I’m going to make those bow ties too. Thank you for the idea – I will give you full credit if I end up doing it!